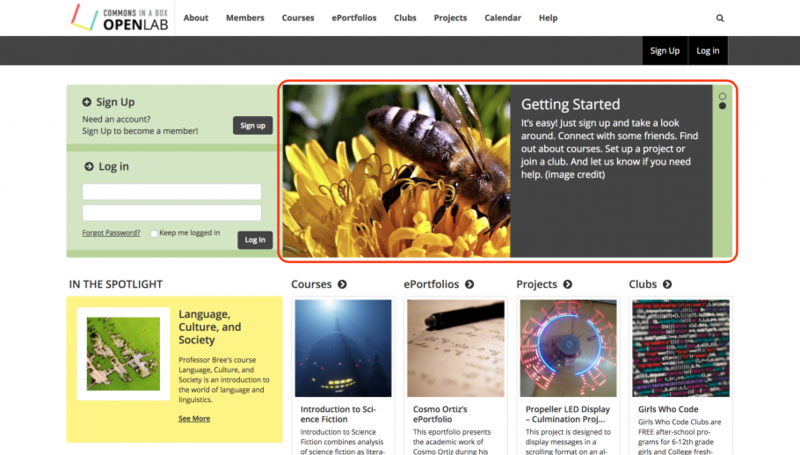 The slider appears to the right of the login box on the homepage. To edit the slider, go to Dashboard > Sliders. 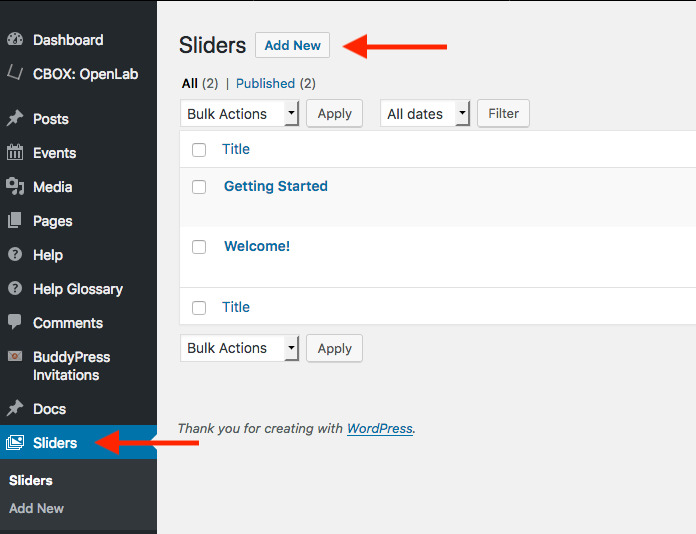 (Please note: the Sliders section isn’t included in the CBOX OpenLab section of the Dashboard.) To add a new slide, click the Add New button. Add a title and text for the slide. You can add links or styles such as bold or italics as you would in any WordPress post. To upload an image, click Set Featured Image. You can choose an image from the media library or upload a new image. It’s always a good idea to add alt text to your image. When you’re finished click Set featured image. 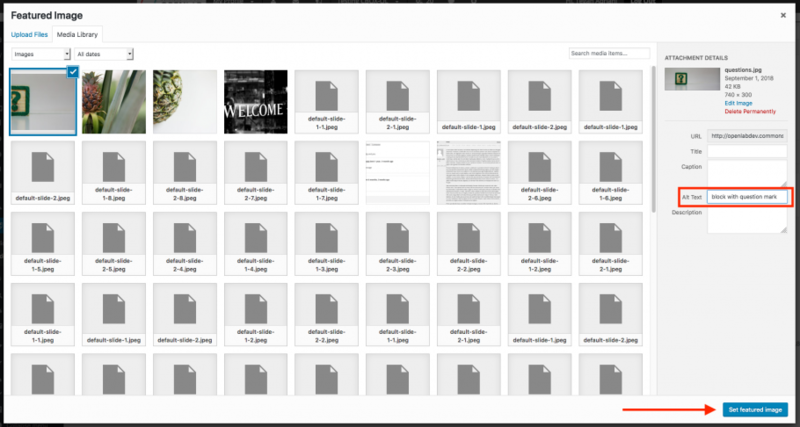 After you’re finished with your text and featured image, click Publish. The sliders will appear on the homepage in reverse chronological order. If you need to change the order, you can edit the published date.